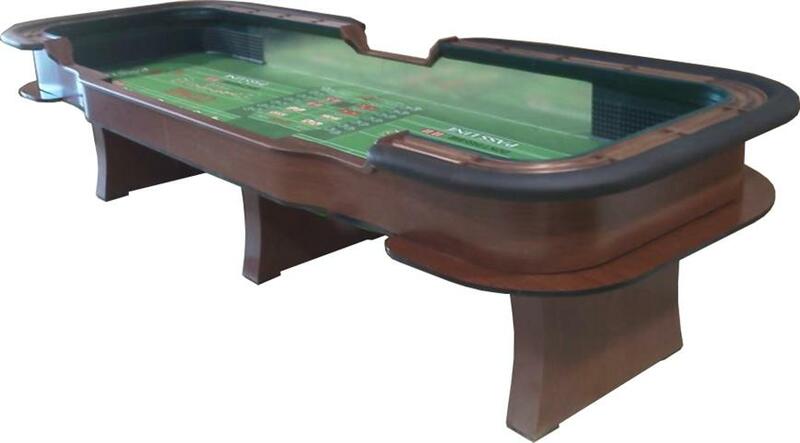 Our Craps tables are beautiful and will add an unbelievable look and feel to your casino party or event! Our Craps tables are of the highest quality materials and will give your event a great look and feel! Our Craps tables are a professional high end casino grade table. They are made with a high quality Oak Wood covered with a dark cherry stain. The table features padded arm rails for player comfort along with 2000 chips each clearly marked with the value on both sides. It also features a wooden drink rail, professional casino dice, dice bowl, and croupier, double row chips trays, and pyramid rubber on the inside of the side rails. The play field on the table features a digitally printed synthetic felt that is liquid resistant, meaning the felt does not absorb liquids. Should one of your guests spill something on our table, no worries, we can clean it up in seconds and the table is ready to on once again. This table will bring a real casino atmosphere to your next event. Craps is a dice game in which the players make wagers on the outcome of the roll, or a series of rolls, of a pair of dice. It is played on a purpose-built table and two dice are used. The dice are made after very strict standards and are routinely inspected for any damage. As a matter of course, the dice are replaced with new ones after about eight hours of use, and casinos have implemented rules in the way a player handles them. The game is played in rounds, with the right to roll the dice by each player moving clockwise around the craps table at the end of each round. A player may choose not to roll but can instead continue to bet on the rolls for the next shooter. While there’s a lot more to this game, it’s guaranteed that once you learn how to play, Craps will most likely become your favorite game in the casino. More players make more money and do it faster on average, than on any other table game in a casino. Don’t worry. We provide very nice deals and the most competitive prices around...just for you! 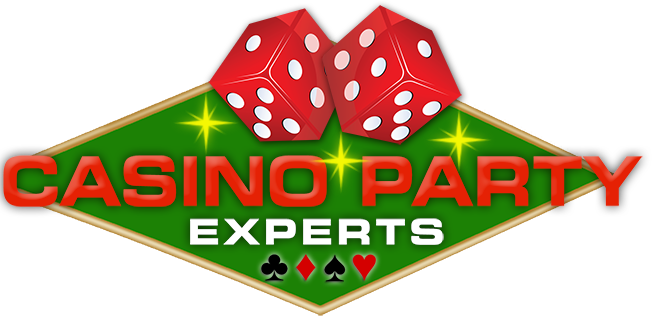 Casino Party Experts is the company to choose if you want the best in casino party entertainment.